Now the 64-year-old leftist is on the brink of winning Sunday’s presidential election, having spent his political career railing against Mexico’s establishment. 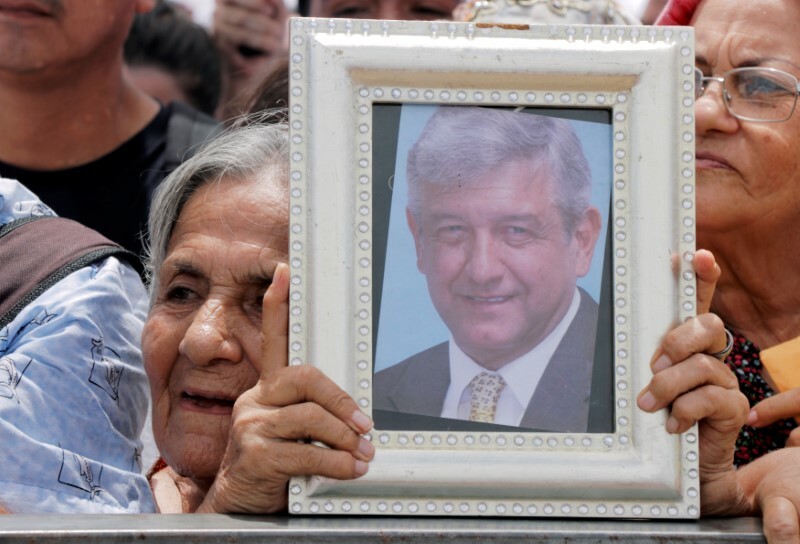 Years of mounting drug violence, sluggish economic growth and corruption have gradually eroded the credibility of the political class, leaving Lopez Obrador as the last man standing. Pledging to clean up government, reduce inequality and subdue gang violence, he promises to “transform” a country he says has been debased by the few at the expense of the many. 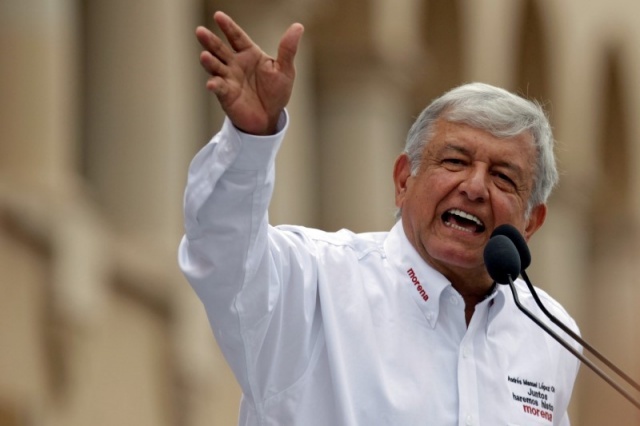 Commonly known as AMLO, Lopez Obrador has bounced back from two presidential election defeats, two gubernatorial losses and a 2013 heart attack to defy his critics with an unshakeable faith in his ability to tackle Mexico’s ills. “We’re the only ones that can put an end to corruption in Mexico,” Lopez Obrador told supporters this year in Cintalapa, a town in the impoverished south of the country. 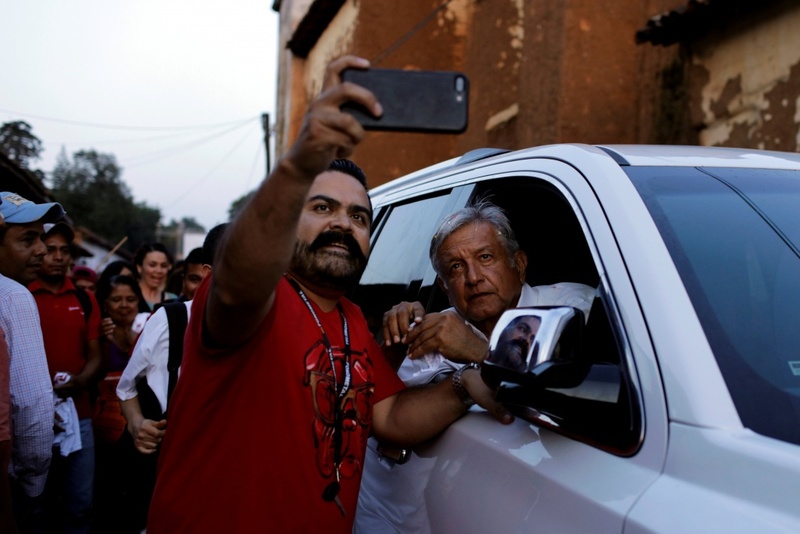 Few politicians have established such a connection with the millions of underprivileged families in Mexico as Lopez Obrador, a baseball fan who regularly campaigns festooned with garlands, flowers and gaudy sombreros from provincial rural communities. 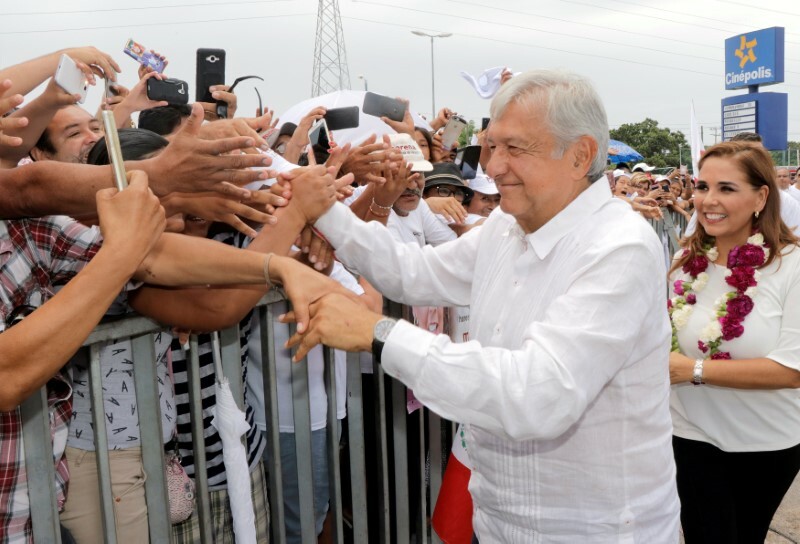 Like U.S. President Donald Trump, the headstrong Lopez Obrador has been the heart and soul of his movement, and victory for him on July 1 could heighten tensions between Mexico and the United States over trade and migration if the two men clash. The prospect of a showdown between the blunt Lopez Obrador and Trump over the planned U.S.-Mexico border wall and the American’s efforts to renegotiate the North American Free Trade Agreement (NAFTA) has both friends and enemies worried. “There’s going to be a clash of vanities, a clash of egos, and who knows where it will end,” said Juan Jose Rodriguez Prats, a former party colleague, friend and later adversary of Lopez Obrador who has known him for 40 years. Born into a family of modest means in the southeastern state of Tabasco, Lopez Obrador worked in the 1970s for the state’s indigenous affairs bureau. At times, he would sleep in the open if he did not make it back home with the indigenous villagers by nightfall. Once his bastions were across the south. Now, however, he has extended his support into the richer north. First a member of outgoing President Enrique Pena Nieto‘s Institutional Revolutionary Party (PRI), he quit the PRI in the 1980s and twice failed to be elected Tabasco’s governor, staging a protest march to the capital after his second loss in 1994. That raised his profile at a time of growing opposition to the PRI, and in 2000 he was elected mayor of Mexico City, where his administration was widely viewed as pragmatic, providing a springboard for his first tilt at the presidency. Narrowly defeated in the 2006 election, he again claimed he had been robbed. Lopez Obrador then brought large swathes of the capital to a standstill for weeks with huge demonstrations, and declared himself the legitimate president of Mexico.